After last week's overview of what is trending this fall/winter season, let's dive into one trend at a time. Today I will show you how to incorporate the Velvet Trend into your wardrobe. What I love about the Velvet Trend is its ability to instantly glam up any look, the feminine vibe it gives to each outfit, and how great it works in combination with other fabrics. 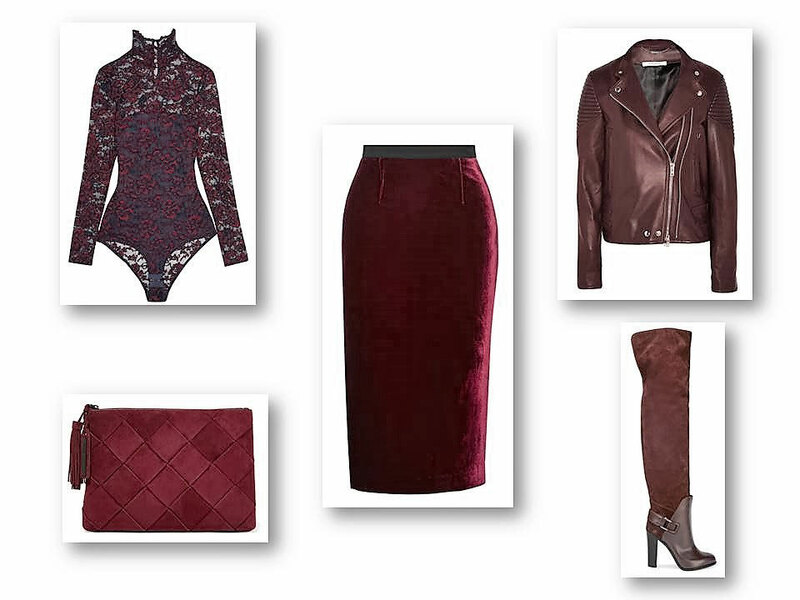 With this look, I want to show you one way to blend the Velvet Trend into your everyday wear. The centrepiece of this look is, of course, the midnight blue velvet body. 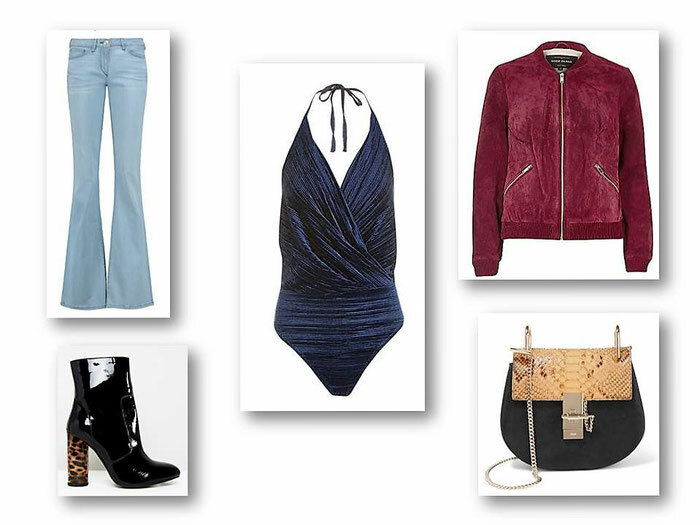 I combined the blue jeans to glam down the velvet body and added the ruby-coloured suede bomber jacket to make this look fall appropriate. I incorporated some boots with animal print heels and repeated this pattern in the shoulder bag. By blending different fabrics and prints into this look, I managed to sneak in some other fall trends- suede, bomber jackets, animal prints and flared jeans. This second look is my take on an evening look. I chose a black velvet slip dress with lace and combined it with a silky coat, some strappy sandals and a velvet choker. For evening looks it is no problem to amp up the look by adding another velvet piece into your outfit. The silky coat completes the glamorous look. Again, besides the velvet dress, I merged in some further trends - duster coats and chokers. In the last look, I picked up the monochromatic trend which is still going strong. To avoid dreariness I played with different fabrics again. The over-the-knee boots and the leather jacket bring some edginess to the look. This way this outfit is appropriate for both day and evening wear. Besides, the over-the-knee boots are another major trend this season. Wieder sehr schön zusammengestellt. Freitags und montags gehe ich sofort morgens auf den Blog um die neusten Trends zu erfahren.Der Rock und die Bodys gefallen mir sehr gut.